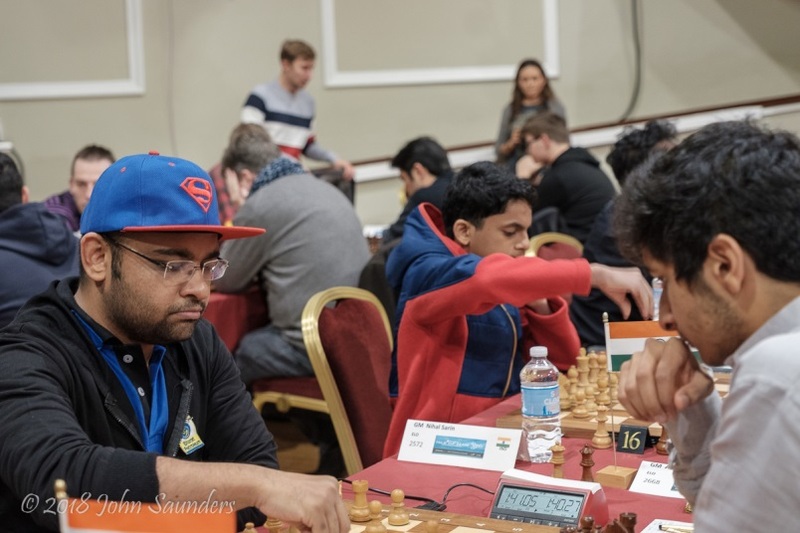 Indian Grandmaster Abhijeet Gupta wore a Superman cap as he beat 2700 players Le Quang Liem and Vidit in consecutive rounds to join Arkadij Naiditsch, Wang Hao and Jeffery Xiong in the lead on 4.5/5 with four rounds of the Chess.com Isle of Man International to go. 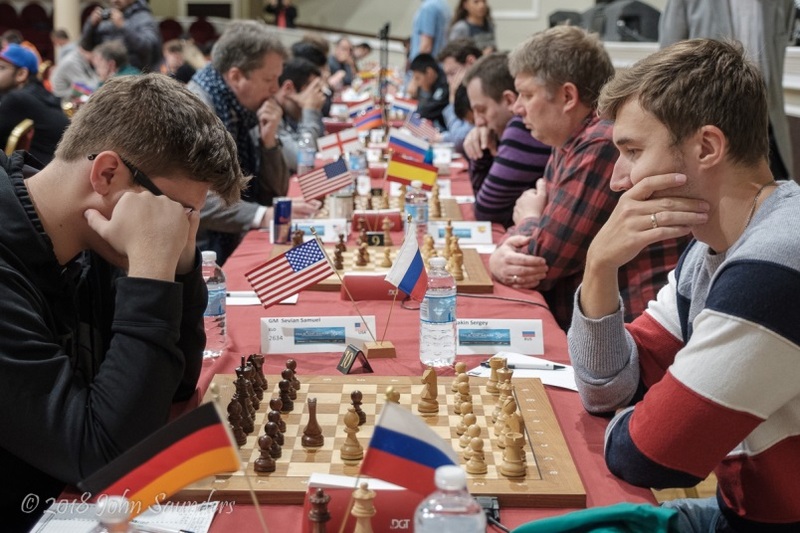 MVL, Hikaru Nakamura and Sergey Karjakin are the biggest names just half a point off the lead, with Karjakin catching the attention in Round 5 as he managed to force the rare mate with two knights against a pawn. 40…Rh6 would again run into 41.Rc8+ and mate-in-3. In Wang Hao’s game the action occurred in slow motion, but the Chinese player managed to trade a space advantage into a decisive infiltration into Erwin l’Ami’s position. 50.g5! was the final touch. Both perfect records disappeared in Round 5, however, as the leaders drew a tense 36-move encounter. That was an opportunity for the chasing pack to catch them, and two players seized their chance. One was Abhijeet Gupta, who now has one third of the six wins over 2700 players on the Isle of Man. 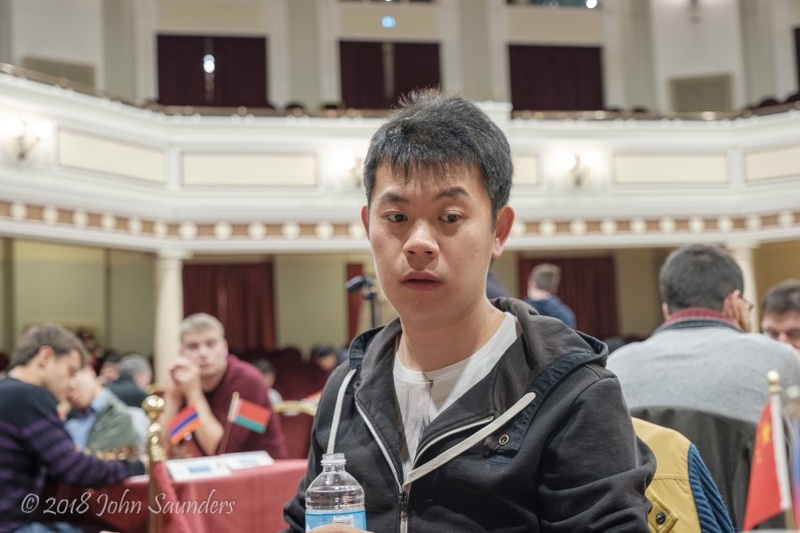 In Round 4 Gupta beat Le Quang Liem with an attack on the black side of the Sicilian, while in Round 5 he managed to spoil the 24th birthday of his compatriot Vidit. 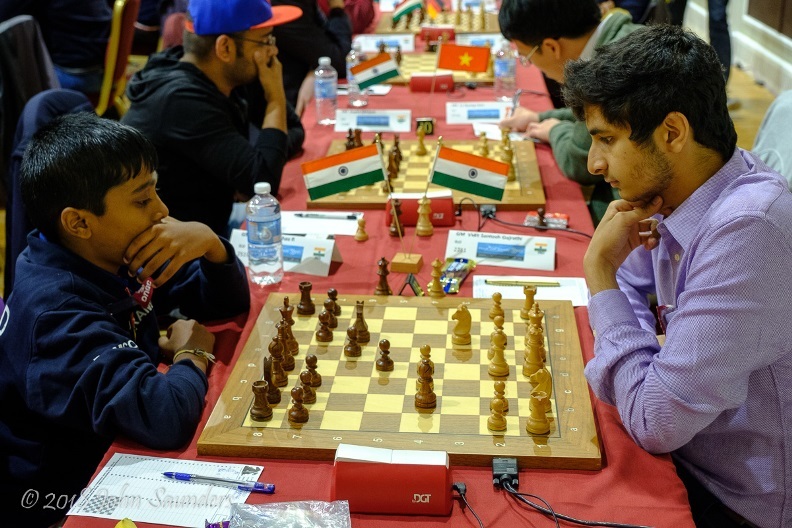 To be fair, it was largely Vidit’s own fault for gifting a win to his opponent with 25…Qd7? At a glance that looks like an invitation to wrap up the game with a quiet draw. Perhaps it was, but with the minor flaw that White is simply winning a pawn after the queen exchange: 26.Qxd7 Rxd7 27.b4! Nc4 (27…Nc6 28.Bxa6!) 28.Nxd5! and almost 40 moves later Black resigned. That was a birthday mistake Arkadij Naiditsch wasn’t going to make, since he took a bye in Round 6 for his own 33rd birthday! 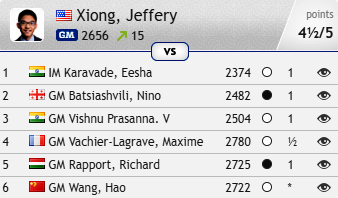 The other leader is 17-year-old US star Jeffery Xiong. He’s failed to climb quite as fast as we imagined he would when he won the World Junior Championship a couple of years ago, but he looks ready for another assault on the summit. The position is in the style of a creative player such as Richard Rapport, but here he seems to have gone astray. There was no need to move the knight just yet, since Qxd3 would run into Qxe6, but he decided to spoil Black’s attractive pawn structure with 35.Nxf4!? It’s easy to see the knight can’t be taken, but after 35…Rf6! White was on the back foot. It seems the knight can’t go back to its blockade on d3 (though actually the computer says 36.Nd3!? Qxd3 37.Qxe5 is playable), and Richard played 36.Ne2, only to run into 36…d3! 37.Nc3? (37.Ng3) 37…Rg6! 38.Re7? b4! and White was getting overrun. It wasn’t a flawless game, as you can see, but it was still an extremely impressive demonstration of calculation and imagination from the young US player. Where are the big guns? 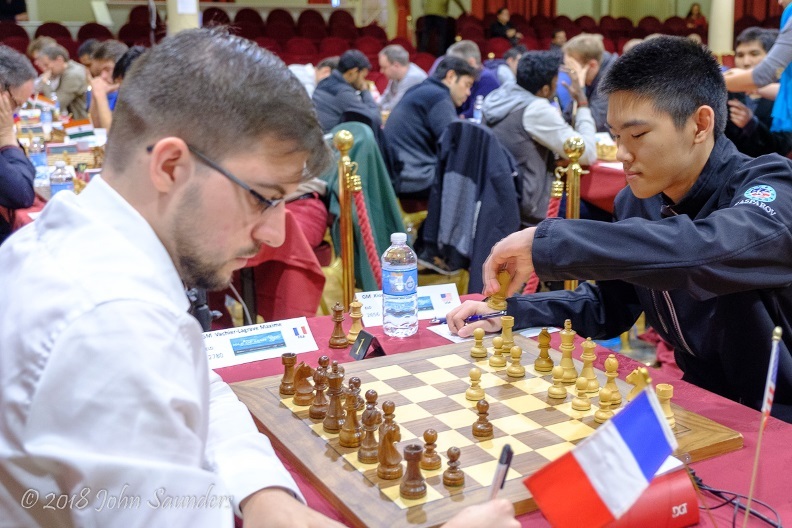 The big appeal of the Isle of Man tournament is to see some of the world’s best players in action in an Open, but it’s not always easy to find them! 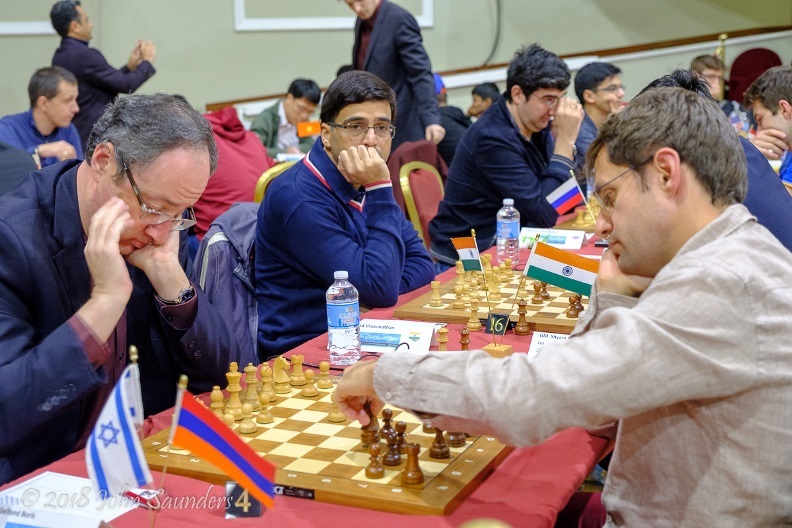 In Round 4, for instance, you had to look down to boards 14-17 to find Anish Giri, Vladimir Kramnik, Vishy Anand and Hikaru Nakamura all lined up with the white pieces. Giri himself did appear for Round 5, but only to play a quick draw against his regular second Erwin l’Ami. Which might have answered the questions! The reward for draws against Sergey Karjakin and Alexander Grischuk – Wesley So next for the English GM! There are, however, four 2700 players in the pack of players just half a point off the lead. 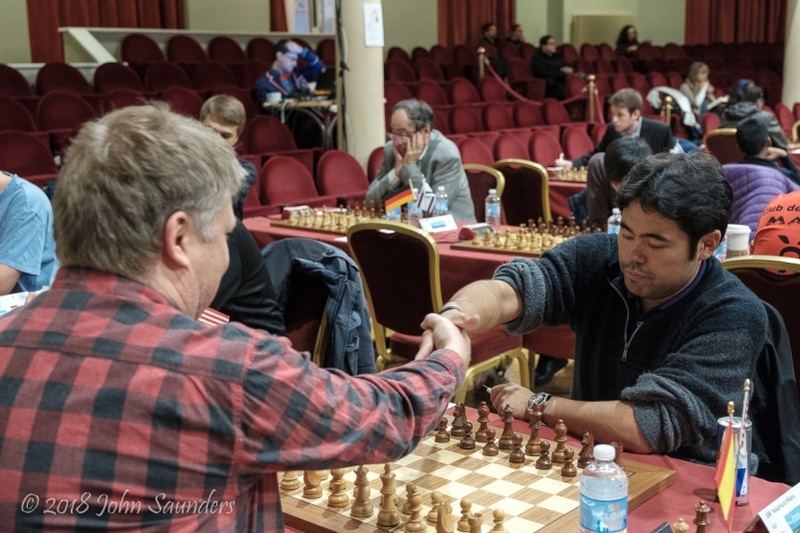 Hikaru Nakamura missed a win in Round 3, was in danger with White in Round 4 and had to face an Alexei Shirov exchange sac in Round 5, but he went on to win and put himself in contention for overall victory. 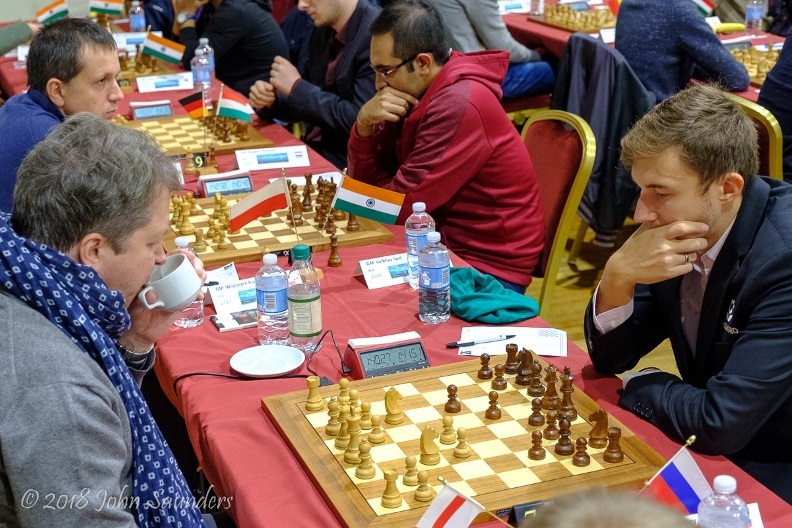 One player whose technique in a knight ending couldn't be faulted, however, was Sergey Karjakin, who gave 17-year-old Sam Sevian a free lesson. It’s well-known that two knights can’t give mate, but if your opponent has a pawn it gives you a chance, since you can trap the king in the corner with one of your knights while manoeuvring the other to deliver the final blow. You only have as many tempi to do that as the pawn has squares to go until it queens, though, and in this position it turns out those three squares aren’t enough! With just four rounds to go it’s time for the stars to make their move. For instance, Hikaru Nakamura will have White against Gupta in Round 6, and is likely to be out for blood. Follow all the action live here on chess24 from 15:30 CEST!